Miao joined Johnson& Johnson in 2014 as VP/CIO ASPAC for Medical Devices business. She has over 23 years of global experience in IT industry, with broad exposure to the Oil/ Energy/Natural Resources as well as Consumer Goods and Health Care business, having worked for Royal Dutch Shell for 14 years, Nestle for 5 years and more recently Golden-Agri Resources for two year. She has extensive IT Management experience, having headed all IT disciplines in both global and regional capacity – Strategy and Planning, Program Management, Project Delivery, Delivery Management (Application and Infrastructure Support and Operations), Business Systems Management, Business Engagement, IT Supplier Management, and IT transformation. After 5 years with Nestle, she joined Royal Dutch Shell, one of the largest Oil & Gas companies in the world. In her 14 years career with Shell, Miao had worked in Beijing, the Netherlands and Singapore taking on Country IT head, regional IT lead and global IT leadership role . She had been managing IT operation in the largest Refinery and Chemical manufacturing in the world, her last role with Shell was Global Strategy and Planning lead for Application Services. In 2012, Miao joined Golden Agri Resources, the largest palm oil plantation and commodity trading company in the world, as Global CIO. 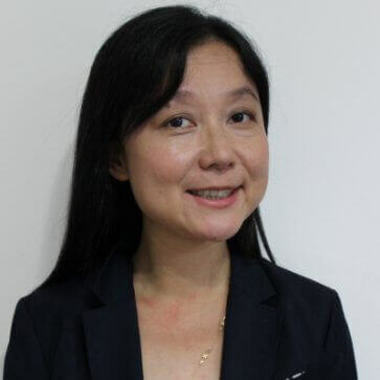 In her two years with GAR, Miao had been successfully driving a few transformational initiatives, such as consolidating the data centers and the fragmented IT organization into one, a single SAP implementation and Big Data initiatives and building a talent development plan for the whole team. Miao has been living and working in China, Switzerland, the Netherlands and Singapore, etc. She is a strong supporter of Diversity and Inclusiveness, she used to head the Netherlands D&I council , now leading IT Women Leadership Institution in Johnson & Johnson ASPAC . Miao will share how big data is shaping the healthcare industry based on her extensive IT Management experience from Strategy and Planning, Program Management, Project Delivery, Delivery Management, Business Systems Management and so forth.